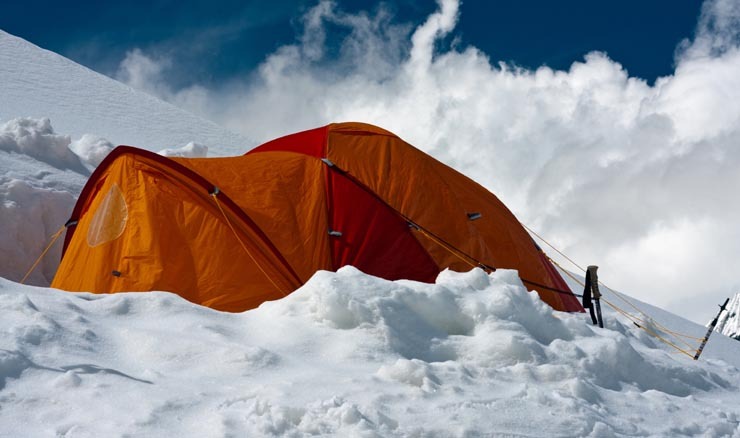 Camping in snow is a lot of fun, although you need to carefully plan your trips. Many people run into problems and a number of deaths occur each year due to poor preparation and inexperience. When camping in wilderness areas, away from huts and immediate rescue it is important to understand that you are responsible for your own well being, and for those around you. 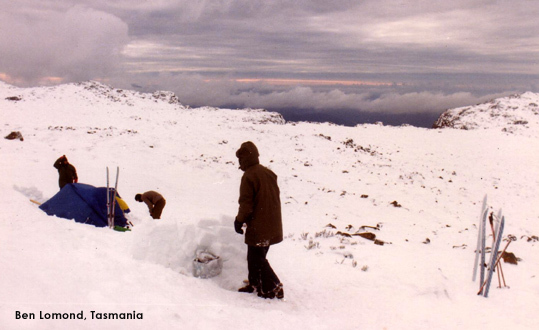 In Australia, winter conditions can often mean rain and sleet, and dry snow is not always encountered. This means being prepared to walk and camp in soaking rain coupled with high chill factors. I have spent many months walking solo in winter conditions, and the bottom line is to plan for the unexpected! Anything less and you are stupidly risking your life and putting others (rescuers) at risk. Simply because there is good snow cover in the area you are going into, doesn’t mean leaving the tent behind. 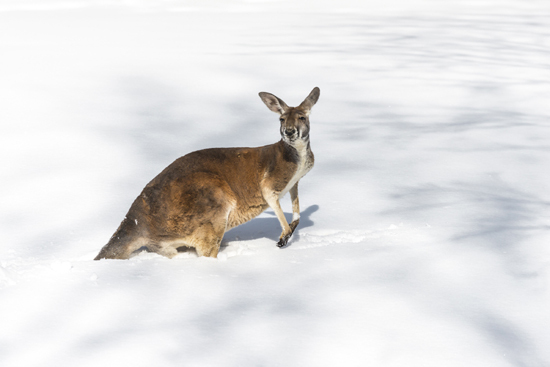 Winter conditions in Australia are highly unpredictable and being caught in freezing rain/sleet without overnight protection is very dangerous, and it might be one-night you may not survive. For this reason I use a synthetic fibre sleeping bag, as natural down bags have zero insulation once they become wet. 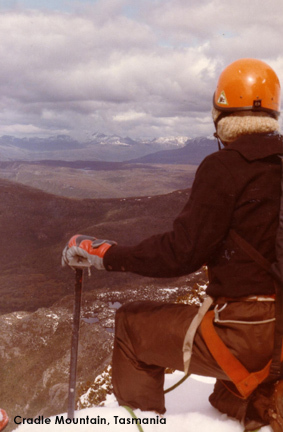 A fully lofted or fluffed up sleeping bag creates thousands of very small dead air pockets. These pockets slow heat loss to the outside world allowing your body heat to warm the envelope of air around your sleeping body. Although down is an excellent insulator, and nothing beats its warmth to weight ratio, a wet down bag has no insulating value. For lengthy trips and even with access to huts, a good tent is an essential bit of kit. If you are not carrying a tent, then a bivvy bag is a must, and by bivvy bag, I don’t mean a big colourful plastic bag. Good bivvy bags like those made by Macpac are costly. These are full spec bivvy bags, featuring a full, well-shaped cowl, insect mesh cover and side zips. The upper part of the bag is made from waterproof Reflex Nova, which is weatherproof and the bottom is lightweight UV40 (Macpac’s flysheet fabric). Camping in snow is an exhilarating experience, and an alternative to tents or bivvy bags and with the right snow conditions is to build a snow cave. For the novice, Victoria scouts have a Tips and Tricks Pdf that is worth checking out.